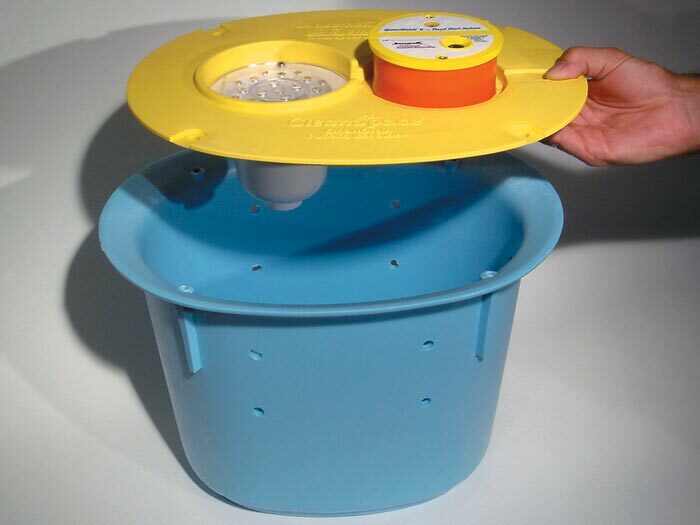 The SmartDrain™ System is a crawl space drain that includes a bottomless liner and an airtight lid. If a plumbing failure occurs, this system will drain the water beneath your vapor barrier, preventing it from collecting in the space. 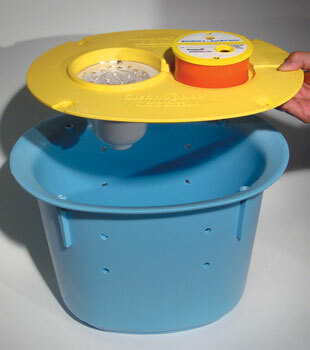 The SmartDrain™ is installed within a drywell created during the installation. A fill of clean drainage stone is used around to isolate the drain from the dirt to prevent clogging. 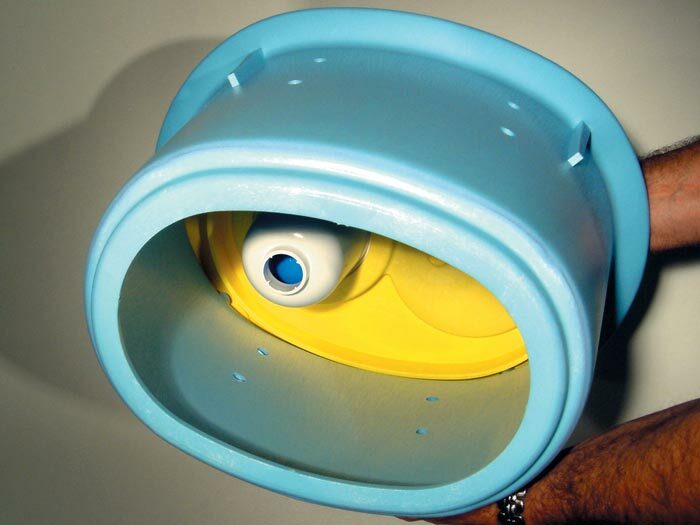 Our system features a unique ball-and-cup drain system. When water enters the cup, the ball floats and opens the drain -- sealing again when no water remains. When the system detects water, a unique WaterWatch® Alarm will sound off, alerting you of an issue. We can help you transform your crawl space into a drier, healthier, and more energy efficient space! Sealing and drying your crawl space will help eliminate mold issues and create a better-preserved, more valuable area in your home. We'd like to meet with you to explain what our warranted crawl space system can do for you! To sign up for a free dry crawl space quote contact us by phone or e-mail today! We proudly serve throughout Canada, the United States, and the United Kingdom. How Bad Can A Crawl Space Get? Terrible! 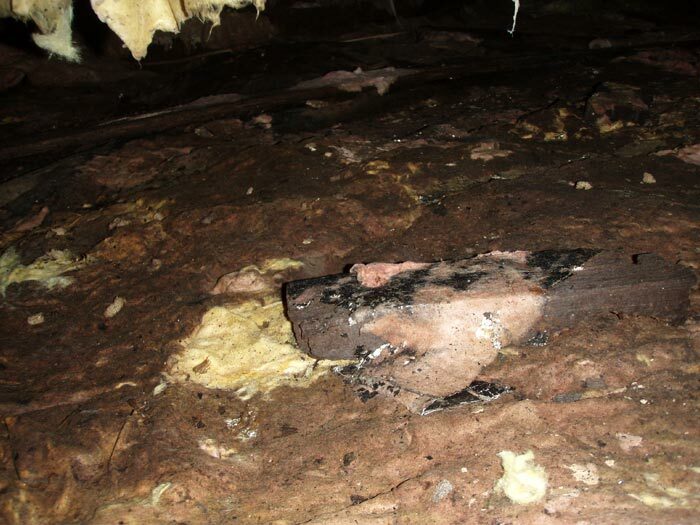 Once a crawl space begins to flood, rot, and support mold growth, the damage will continue until the structure caves in completely. How much will a contractor charge to enter this filthy, moldy crawl space to replace the rotting wood and reinforce the structure? ...you're in for a real mess! 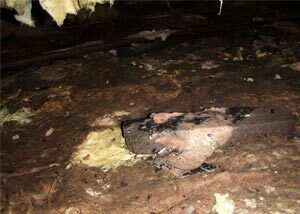 A flooded crawl space means mold, humidity, and rot will begin to thrive in the space. Fiberglass soaks up mold like a sponge, holding it against the wood floor beams, joists, and girders of your home. Mold can begin to grow on the dyes, resins, and paper backing of fiberglass batts. As the fiberglass is increasingly weighed down by moisture, it will sag and fall to the floor, useless. Eventually, rot will begin to damage the structural wood of the crawl space. As the middle of the crawl space becomes unable to support itself, it will begin to sag downwards. Next, the floor above becomes uneven, and doors may begin to stick as they open and close. As the floor sinks, so will the framework of your walls, which will lead to cracks in your drywall. If the problem is addressed early on by sealing and drying the crawl space, you can potentially avoid these repairs altogether. This involves addressing all sources of standing water and sealing the vents, doors, and walls. A dehumidifier is also recommended to dry out wet wood and to maintain the space. In most cases, a homeowner does not access their crawl space on a regular basis. Because of this, a plumbing leak may continue in the space for weeks, months, or even longer before it's detected. If a crawl space liner is installed, it can fill up like a swimming pool in the meantime! 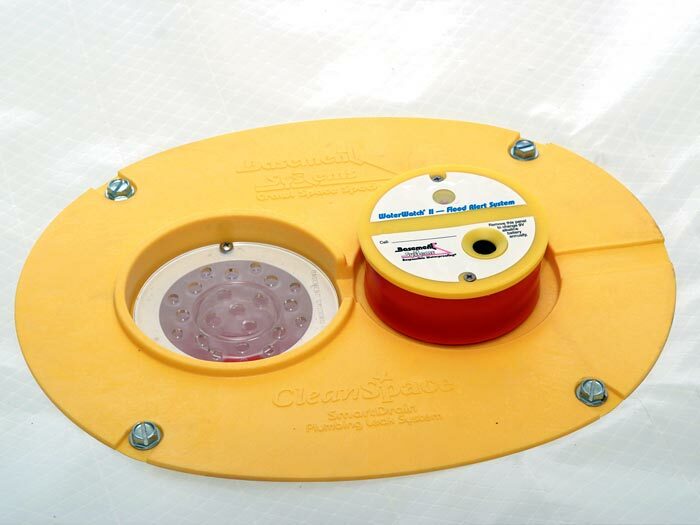 Each SmartDrain™ system is installed with a WaterWatch® Alarm System included in its design. If flooding water is detected, the alarm will sound off, letting you know right away. But what if you're away from home when the flood occurs? As an optional feature, our alarm can be integrated with many home alarm systems -- so you're notified by phone if an issue occurs. We Specialize In Drier, Healthier Crawl Space Environments! Our authorized Basement Systems Dealers have the training, experience, and crawl space products you need to dry and seal your crawl space! 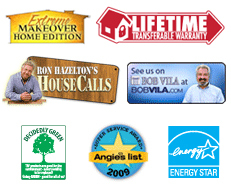 Our system includes a written warranty that can be transferred to the next homeowner -- providing a big selling point for your home! To learn more about what our system can do for you, contact us to schedule a free crawl space drain installation quote! Each free quote includes an on-site inspection and measurement of your crawl space, as well as a professional consultation, where we identify the problem and answer any questions you may have. 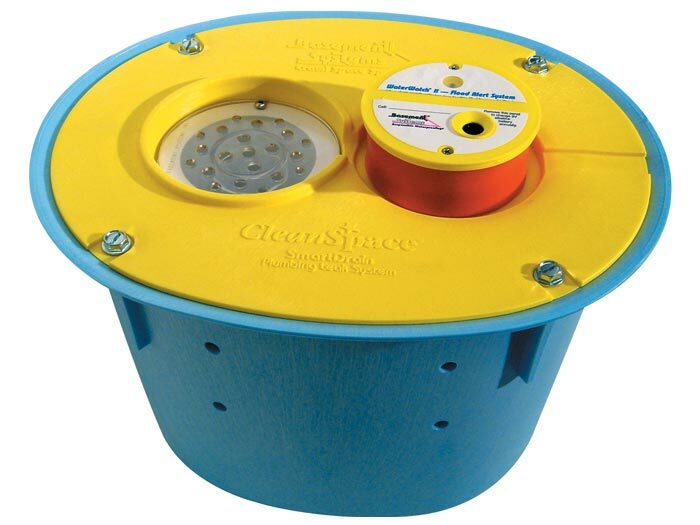 We'll work with you to customize a crawl space encapsulation system that meets all your needs and requirements! We have certified dealers working throughout Canada, the United States, and the United Kingdom. Don't wait to get started on a healthier home -- contact us today!